RETIRE ABUNDANTLY. ﻿Experience Real Progress from Planning that Preserves, Protects & Passes on Wealth. Even if death and taxes can be delayed — unlike childbirth — both are not necessarily certain. While death is inevitable, definitely HIGH taxes are not! Columbia law professor George Cooper submits in his book, A Voluntary Tax, that unnecessarily high tax bills are likely due to either: 1) Taxpayer Indifference or 2) Poor Planning Advice. By avoiding excessive taxes, many successful people can accumulate much more than others. They work with professional wealth specialists experienced in matters of income tax and capital gains, and reducing income taxes even at death. Always pay your fair share … tax evasion is illegal, of course. Tax avoidance, on the other hand, is completely LEGAL. 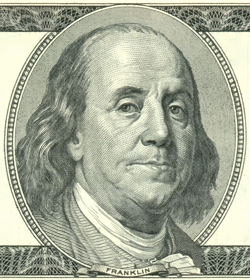 Franklin may have been right in his own time, but his adage is only partly right today. Some taxes — at least high taxes — aren’t certain! Meet with a professional wealth specialist to see if the taxes you pay may be keeping you from retiring sooner or living better in your retirement years or from making a better impact for your family or your community. 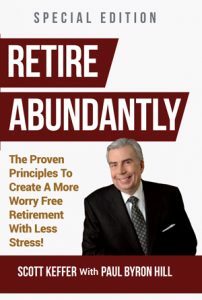 Professionals, executives, business owners and women-on-their-own will gain insight, principles and practical advice on how to enjoy a great retirement and make a greater impact to finish strong in Retire Abundantly. For additional retirement management resources or to book Paul to speak at your next event, or interview go to the Professional Financial website or call Paul at (585) 737-8000.